Technology has always been a major concern in Supply Chain. Today’s growing explosion of data on everything, from material flows to customer preferences, has quickly changed the way organizations do business. This is leading to a pressing need for enhanced data management, analytics and talent. The way organizations use data is altering the manner in which those organizations work, resulting into a significant difference in effectiveness, costs and customer satisfaction. The emergence of disruptive innovation and technology represent a challenge for businesses by creating completely new means for driving business, at its very core. In fact, disruptive technology has the capacity to entirely shake up a supply chain and change the way products are manufactured, distributed, and tracked. According to Inbound Logistics Surveys, the most disruptive technologies were found to be the Internet of Things (IoT) at 42%, autonomous vehicles at 41% and drones placed third at 25%, and at last 3D printing followed closely behind at 24%. Supply chain leaders believe that these are the top four technologies to keep a vigilant eye on. A study by Mckinsey in 2013 revealed that by year 2025, the IoT (alone), “offers the potential to drive productivity across $36 trillion in operating costs of key affected industries.” It is certain that the long-term implications for the adoption of disruptive innovations can lead to immense returns in business worldwide. At the same time, a few of these innovations also hold the potential to improve society at large. The Mckinsey study highlights that the use of autonomous vehicles “could save 30,000–150,000 lives from potentially fatal traffic accidents”. What are the constraints of adopting disruptive supply chain technologies? Similar to the adoption and implementation of any innovation, or technology into one’s supply chain, implementing disruptive innovation also comes at a cost. Financially, organizations must be ready to put money into: research, self-driven improvements to meet specific demands, passing of regulations to meet international standards, hiring of new experts to implement the technology, beta testing and so on. This is how disruptive innovation works. It can surely lead to great profitability and efficiency in its applied area, but at the same time it can also hold some complications. Major costs, when embracing disruptive innovation, would come in non-monetary forms, such as: education of how to use disruptive technology, the potential for technology replacing human workers, the shift of business strategizing etc. As mentioned by Harvard Business Review, “The fact that disruption can take time helps to explain why incumbents frequently overlook disrupters.” That’s what Blockbuster thought about a little company named Netflix in 1997. Blockbuster saw Netflix as a very small competitor and Netflix saw an opportunity to integrate video streaming which was a disruptive technology at that time, which consequently led to Blockbuster’s downfall (hbr.org). Ignoring the trends or feeling comfortable, because ‘there are no competitors doing what we’re doing today’ is a dangerous thing to do in business. While you’re getting comfortable, they are actually innovating. Therefore, all businesses should continually innovate to up their game in their respective industries. Through data analytics and the collection of data through digital means, nowadays businesses are able to gain insightful information about customer behavior. 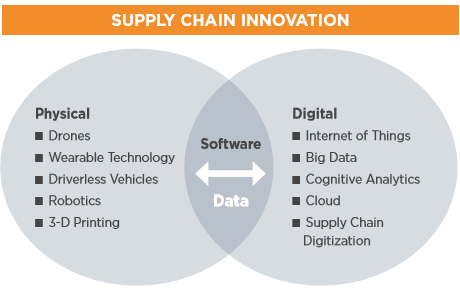 It is essential that chief supply chain officers have enough knowledge about data gathering, technology and analytics to become true leaders and provide a digital vision for supply chain teams. There is the need to recognize how important platforms and processes are implemented and utilized. For instance: demand forecasting, inventory management programs, sales and operations planning processes, and transportation management systems. It is the responsibility of leaders to show a firm understanding of the scope and scale of data from various channels. Most importantly, they must be prepared to act intelligently on data. An innovative training and development program will ensure that your employees are ready to face these changes. For example: with the new competence development program at Supply Chain Academy, employees will gain in-depth insights on digitalization and analytics in Supply Chains. Hence, this will lead to a better implementation while reducing the possible risks of disruptive supply chain technologies. It is crucial that today’s chief supply chain officer stay ahead of the game as far as latest technologies are concerned. This will ensure that the company properly incorporates digital skills and digitally minded talent. Very often, one of the major mistakes that businesses make is to execute a data management solution without properly preparing the organization. It is imperative to understand that tools alone do not drive results; employees must be developed and trained to use those tools. Therefore, establishing internal programs to ensure an adoption of skills across the supply chain is vital. 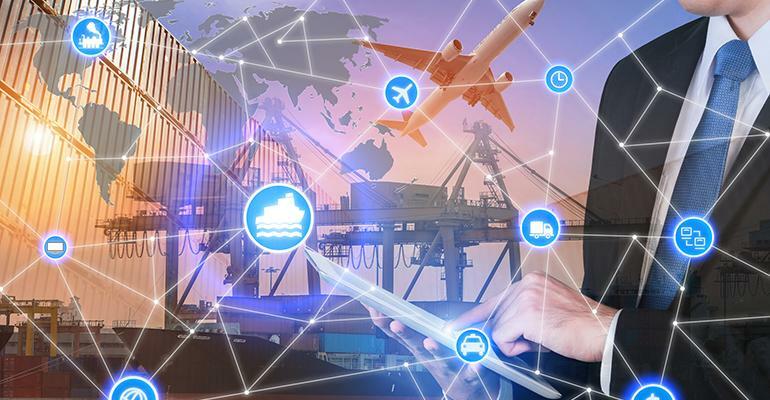 Even the chief supply chain officer is not excluded from this requirement, as digitization of the supply chain should be driven from the top down. There is no denying that disruptive technology in supply chains represents a major transformation. Supply chains are usually challenged with complexity, comprising of several processes to create a product until it goes into the hands of the customers. We have to admit that supply chains aren’t always efficient. But let’s be honest; there’s always room for improvement, and it looks like disruptive technology will help us get there if proper training is implemented.